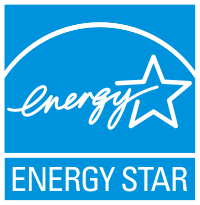 ENERGY STAR is a national energy rating system sponsored jointly by the U.S. Department of Energy (DOE) and the Environmental Protection Agency (EPA). The National Energy Rating of a Subject Property is based on a scale of 1–100 (100 being the highest) relative to similar buildings nationwide. The rating system uses numerous building specific inputs such as kWh, Therms, square footage, hours of operations, and number of occupants to a national database of similar buildings. The Subject Property is compared to statistically representative models of similar buildings from a national survey conducted by the Department of Energy’s Energy Information Administration, known as the Commercial Building Energy Consumption Survey (CBECS). To qualify for the ENERGY STAR, a building or manufacturing plant must earn a 75 or higher on EPA’s 1-100 energy performance scale and the data must be certified by a licensed professional engineer. Partner Energy is an ENERGY STAR Partner and uses the ENERGY STAR Portfolio Manager National Energy rating system to benchmark properties. Portfolio Manager is an interactive energy management tool that allows the tracking of energy consumption for a building or portfolio of buildings in a secure online environment. With AB 802, utilities are required to disclose aggregated building energy consumption data when requested to building owners. This will effectively revolutionize the energy disclosure process for building owners and jump start compliance across the state. Borrower must report the Property’s annual Energy Performance Metrics to Fannie Mae, including ENERGY STAR score. To qualify for Green Mortgage Insurance Premium Reduction (Green MIP Reduction), owners must certify that properties have achieved or will pursue to achieve an ENERGY STAR® score of 75 or better.